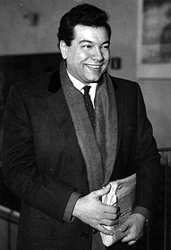 Mario Lanza gave relatively few interviews during his brief career, particularly after the breakup with MGM in 1952, and those that he did participate in were seldom illuminating from a vocal perspective. Interviewers (both from the print and electronic media) were either reluctant or unqualified to explore topics of any musical depth, and their questions often verged on the banal. To be fair, though, with rare exceptions (e.g. two articles for the American musical magazine Etude in 1949 and 1950), these interviews were aimed at mainstream audiences. The following are perhaps the best of the unscripted English-language interviews that Lanza gave during the last ten years of his life, and they reveal the man's intelligence, warmth, and articulateness. Two interviews in Italian are also included—--Derek McGovern. This is essentially a promotional interview for Lanza's first film, That Midnight Kiss. 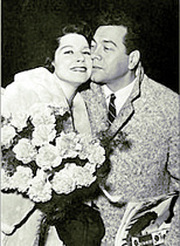 In Part Two, Lanza discusses life in the army air force during World War II, "embellishes" the story of a bogus Lanza record that he once supplied in lieu of an audition (he claims it was a Caruso recording; other versions state that it was by Metropolitan Opera tenor Frederick Jagel), and talks about a proposed movie with operatic legend Ezio Pinza. In Part Three, Lanza talks about his operatic aspirations and a proposed movie on the life of Enrico Caruso. This is the only occasion on which Lanza was recorded discussing the operatic roles that he had learned (although he neglects to mention one of them: Canio in Pagliacci). In Part Four, Lanza introduces the "They Didn't Believe Me" scene in his movie That Midnight Kiss. 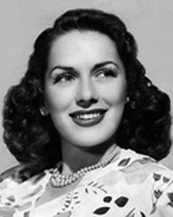 This entertaining interview was recorded while Lanza was on a working vacation in Hawaii in March 1950. (He sang three sold-out concerts in Honolulu that month.) Curiously, Lanza doesn't mention his second film, The Toast of New Orleans, which he had just completed, and instead focuses on his forthcoming picture on Caruso. Note: Lanza mentions here that he has been married for six years. He and Betty were in fact a few weeks away from their fifth wedding anniversary at the time. Promotional interview for Lanza's fifth film, Serenade. Ray Heindorf, musical director for Serenade, interviews Lanza about some of the lighter vocal selections in the film. More substantial than usual, this interview is also the recorded instance in which Lanza states his much-quoted musical credo: "I sing each word as though it were my last on Earth." 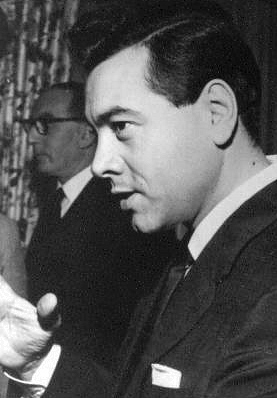 Promotional interview for Lanza's sixth film, Seven Hills of Rome. This snippet is part of a longer interview with journalist Lello Barsani that Lanza gave in Italian while filming a sequence for Seven Hills of Rome in St. Peter's Square (see photo on left). An English translation (provided by Armando Cesari) can be read below. 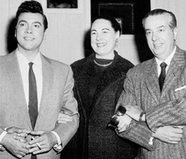 This interview was recorded while Lanza was on his final recital tour (which took him throughout the United Kingdom and also to various cities on the European Continent). A relaxed Lanza is in obvious Public Relations mode here, as he plays up to his audience by saying exactly what he thinks the British public wants to hear! But as Armando Cesari has pointed out, "[Lanza] also does himself a disservice by stating here that he had had very little training." Lanza had in fact studied for 16 months with the celebrated Enrico Rosati—a period that "was paramount in building a solid technique, which you cannot acquire simply by listening to recordings [as he claims here]. And let's not forget that he [also] worked extensively with [noted baritone] Robert Weede, and later with Maestro [Giacomo] Spadoni." This is one of the more intriguing Lanza interviews—as notable for the tenor's interesting account of his first meeting with Serge Koussevitzky (and operatic debut) as it is for some curious slips (e.g. "Leoncavalli") and unusual sentence structures (e.g. "I didn't, in reality, the truth I must tell"). Lanza was apparently talking to an (unheard) interviewer named John Hendricks. First broadcast 4 October 1959, three days before Lanza's death. 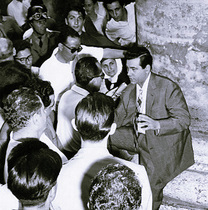 "La Mia Vita per il Canto" (My Life for Singing) was the first of what was intended to be a four-part radio series in which Lanza, speaking in Italian, would discuss his life and career. In this brief excerpt from the first program, a charming and seemingly carefree Lanza—only weeks from his death—introduces his wife and children to Italian audiences. The English translation (courtesy of Armando Cesari) is below.